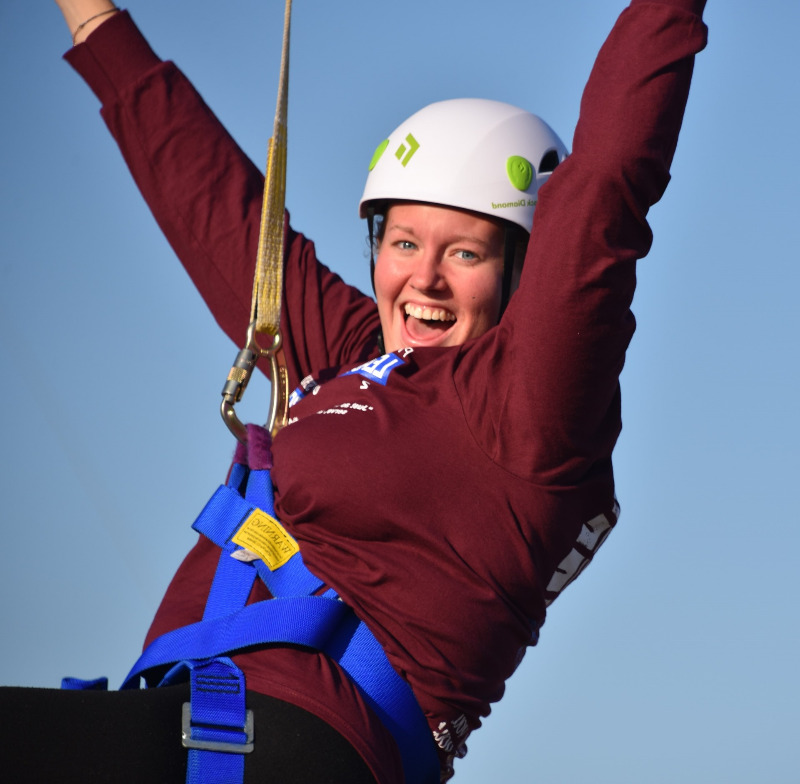 PULF Legacy Scholars and more than a dozen alumni and staff mentors met November 9-12 for the 2017 Leadership Development Conference at the Lakeview Camp and Retreat Center near Waxahachie, Texas, for a weekend packed with leadership education, volunteer service project reports, and high adventure activities. "Lead to Serve" provided the theme for the annual leadership summit. Twenty-two scholars, representing Christian Church (Disciples of Christ) affiliated colleges and universities from Oregon to Virginia, quickly made new friends and renewed acquaintances from past leadership conferences. Nancy Nicholson Phillips, '71, PULF Board Chair, welcomed the participants to the 2017 Leadership Conference, while Kelly Coker, Executive Director, led the group in a variety of thought-provoking ice-breaker activities. Friday’s activities included a review of Phillips University history for the first-year scholars, with Nancy Phillips and other alumni participants regaling the group with anecdotes from the last five decades of PU’s existence. First year scholars were presented with honorary “beanies,” following the tradition of the caps worn by PU freshman during orientation and initiation. Dr. Miriam Clarke, DO (former Legacy Scholar and Hiram College graduate), presented “Balancing from the Inside Out” - sessions provided for scholars only, dealing with the stresses and emotions of balancing college life and studies. Friday evening was filled with reports by Legacy Scholars of their volunteer service projects, one of the requirements with which the scholars must comply to qualify for their PULF scholarships. The presentations were made in three simultaneous groups, with each group electing their own representative to present her or his service project to the entire group. Representatives included Anna Steenson, Junior/3rd year scholar from Drake University, who created a short animated film to educate the community on dyslexia, thus empowering those with disabilities, and specifically dyslexia. Brenna Jennings, Junior/3rd year scholar from Texas Christian University, reported from her group on the Mother’s Day Drive that she organized for a women’s and family shelter in Longview, Texas. Brenna organized a total of 150 volunteers who helped collect supplies needed by women and their children living in the shelter. Macy Grimsley, Sophomore/2nd year scholar from TCU, organized a “Walk for Women at TCU,” with the goals of collecting feminine hygiene products for Tarrant County Women’s Shelter and raising awareness of the monetary struggle faced by so many women in the area. Macy offered many constructive insights into organizing a wide-scale event for the first time and the hurdles that must be overcome to make it a success. A recognition ceremony for graduating scholars was led by Becca Harris, former Legacy Scholar and 2012 graduate of Lynchburg College. 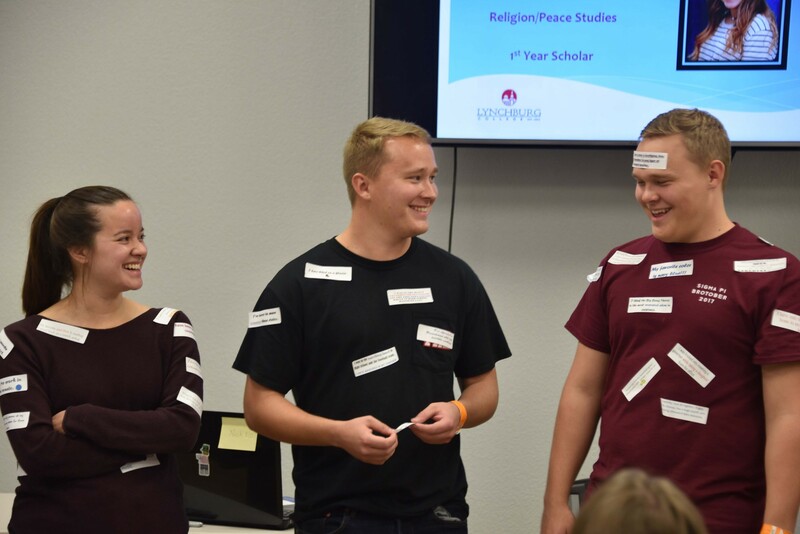 Seniors were recognized with a light-hearted roast, with sticky notes containing personal stories and accomplishments stuck to their clothing. This is always one of the favorite events of every conference. Saturday’s keynote speaker, Matt Tenney, is a speaker, trainer, and consultant with the prestigious Perth Leadership Institute, whose clients include numerous Fortune 500 companies. He spoke of the trials and personal life lessons that brought him to the realization that the most powerful way to be a leader is to provide service to those you lead. The topic of his presentation was derived from his book Serve to Be Great: Leadership Lessons from a Prison, a Monastery, and a Boardroom. The Legacy Foundation provided a copy of the book signed by the author, to each scholar. Matt lectured and led activities during the afternoon on mindfulness, the subject of his second book The Mindfulness Edge: How to Rewire Your Brain for Leadership and Personal Excellence Without Adding to Your Schedule. The conference culminated with the Saturday evening bonfire, with a scholar-led vesper service, and Sunday morning worship, wrapping up an action-packed weekend and what many Scholars referred to as their “Fall Mini-vacation,” before hitting the books again back at their respective colleges and universities.